Looking for fresh yet timeless wedding style (i.e. the kind that never looks dated)? 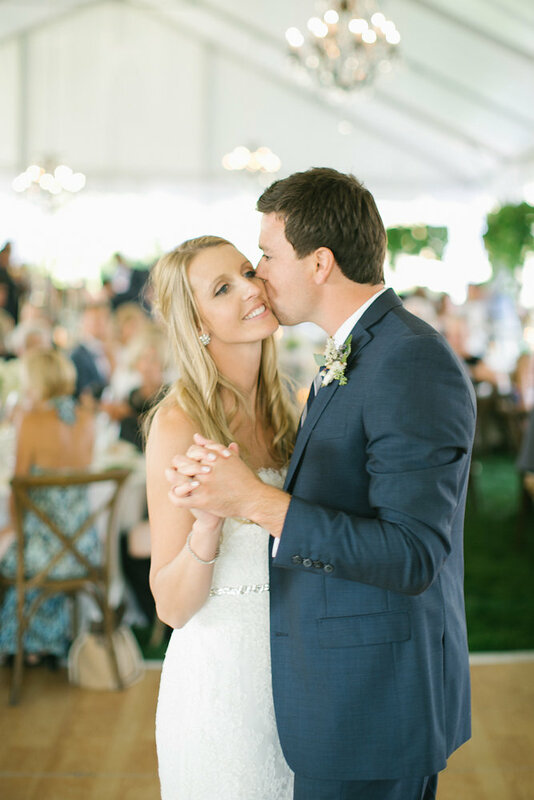 Take a cue from Bryn and Ben absolutely gorgeous late summer lakeside soiree. From the lush foliage and florals infused in every element of the decor to the crisp color palette, each detail is the epitome of understated luxury and classic elegance. 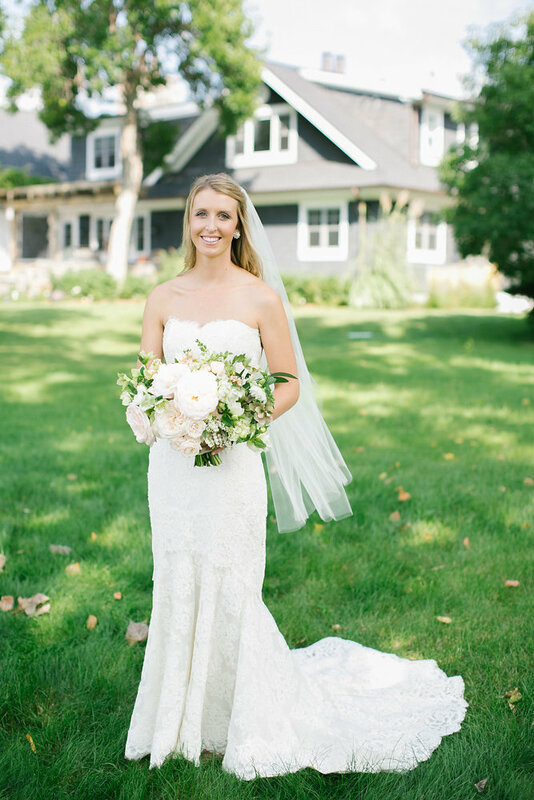 Bryn chose her Anne Barge strapless gown, with a subtly flattering fit and the highest quality corded lace, to perfectly tie in with the overall wedding aesthetic. We briefly interrupt you just to say: is that flower girl twirling in Bryn's veil the cutest darn thing in the world, or what?! 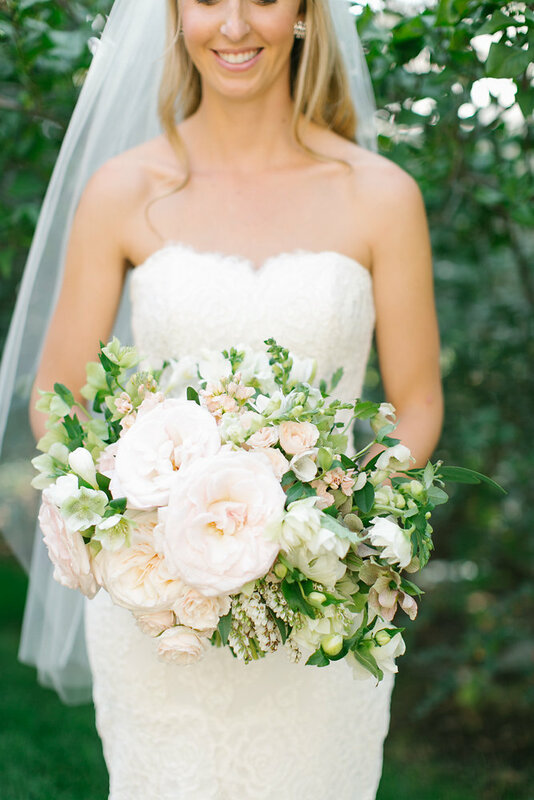 Do you love Bryn's classic chic Anne Barge gown? Experience the renowned Anne Barge bridal collection, available in Colorado exclusively at Little White Dress Bridal Shop. Plan your appointment today by calling 303-814-8972.